At its 2014 Annual Meeting on May 14, WHALE presented preservation awards to some remarkable historic preservation projects in Greater New Bedford that have been completed in the last year. Additionally, two individuals received recognition. Carol Ann Nelson was awarded the Catherine Crapo Bullard Award. For many years, first with the Preservation Partnership and then as a founding partner of the architectural firm Design and Conservation, Carol Nelson lent her extraordinary talents for design, building conservation and historic preservation to many historic preservation projects in New Bedford and elsewhere. Carol’s projects have included Grace Episcopal Church, the Grinnell Mansion, the William Rotch Rodman House, Trinity Methodist Church, the Seventh Street Quaker Meeting House and the Star Store. Arthur Moniz was awarded the George C. Perkins President’s Award for his body of artwork that has had a positive impact on the quality of life in Greater New Bedford. Over a number of decades, Arthur has captured the essence of New Bedford in his paintings. 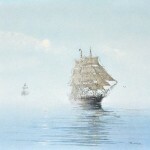 Born in New Bedford, Arthur Moniz has been painting the beauty of historic maritime New Bedford and surrounding communities for over 35 years. His work captures the historic essence of our city. 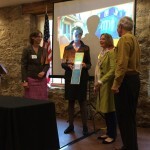 The Sarah Delano Preservation Awards went to five recently completed projects. This award is given to individuals and organizations that have made outstanding contributions to the rehabilitation, restoration and interpretation of the historic character and environment of Greater New Bedford. Sarah Delano served as WHALE’s second President, from 1966 – 1982. New Bedford resident Nancy Durfee was honored for the renovation of her home at 148 Summer Street. The 1876 Mansard Style house is in the Kempton Corner’s neighborhood and the exterior had not been touched in over 25 years. 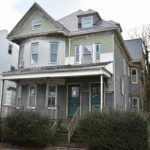 Nancy completed the historically accurate renovation of the entire exterior and upgraded the electrical, plumbing and heating systems as well as installing a new roof and energy-saving features. The project exemplifies a true private neighborhood restoration initiative. River Bank Lofts in New Bedford was recognized, and Quentin Ricciardi of the Ricciardi Group and Acorn Management, River Bank Lofts, New Bedford were honored for the transformation of the historic 1903 Manomet Mills into 126 loft style apartments that feature original maple floors and 14’ windows overlooking the Acushnet River. The project exemplifies how a historic renovation should successfully be done while remaining loyal to the city of NB’s long history as a hard working port and textile city. The project represents $23.4 million in private investment in the Upper Harbor. 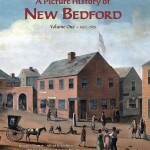 Spinner Publications and Bristol County Savings Bank won a Delano Award for A Picture History of New Bedford, Volume One, 1602-1925. The book is the first extensive city history in decades, capturing the city’s journey with hundreds of photographs and stories. In this first volume, the book traces the city’s history from native Wampanoag hunting ground, through straight laced Quaker enclave and world-class whaling power to Underground Railroad stronghold, prolific textile center and flourishing fishing port. The five authors and editors-Joseph Thomas, Alfred Saulniers, Natalie White, Marsha McCabe and Jay Avila were honored for the highly readable and beautiful account of a city in motion. Bristol County Savings Bank was also honored for their generous gift to make the book possible. 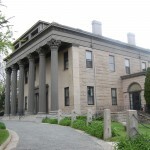 Stephen Fletcher and Michael Walden, owners of the 1830 Greek Revival Howland Stone House in Westport were honored for their renovation of this outstanding and unique building with 18” thick stone walls, a colonaded porch, and a remarkable stone sawtooth fence on a splendid site at the head of the Westport River. 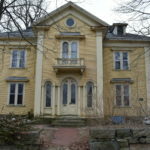 The house was in severe neglect when the owners purchased it, however, all the original detail was intact but required extensive refurbishing. The project architect Kit Wise and the owners brought in artisans, including Regina Gaudette, Neal Clapp, and Norman St. Marie, to hand paint marbleized floors, restore the woodwork, and create beautiful, historically sensitive interiors. 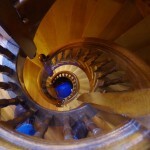 Meet the Artisans and see the house at the WHALE Summer Solstice Soiree on June 21st. 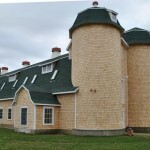 The Dartmouth YMCA won WHALE’s acclaim for the restoration and transformation of the Gulf Hill Dairy Barn in Dartmouth. 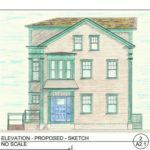 Beginning with the merger of the Dartmouth Children’s Museum and the YMCA in 2000, Southcoast YMCA has staged the full restoration and rehabilitation of the iconic Gulf Hill Dairy Barn over the past decade. For a long time, there was a struggle to find a reuse for this Dartmouth landmark; the YMCA has not only beautifully restored the barn and grounds, but brought new life to the community. The Town of Fairhaven won a Delano Award for the restoration of the Fairhaven Town Hall. 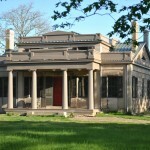 The historic landmark is listed on the National Register of Historic Places and the rehabilitation complied with the Secretary of the Interior’s Standards for Rehabilitation. The restoration work, by architect Joe Booth of JMBA+ Architects, has been ongoing for over a decade. This phase of work included restoration of the slate roof in copper, reactivated clock on the tower, and reintroducing the original paint colors in the interior. Chip Gillespie (Chair), Lee Blake, Regina Gaudette, Diana Henry, Wendy Nicholas, Corey Pacheco, Lenore Tavares, John Vasconcellos, and Kit Wise. WHALE’s 23rd Annual International Wine Festival & Auction – Huge Success!